This deep-sea dwelling jellyfish is known for its “burglar alarm.” When attacked, it sets off a brilliant light display that can be seen for 300 feet. Researchers think the fireworks are intended to attract something even larger and fiercer. 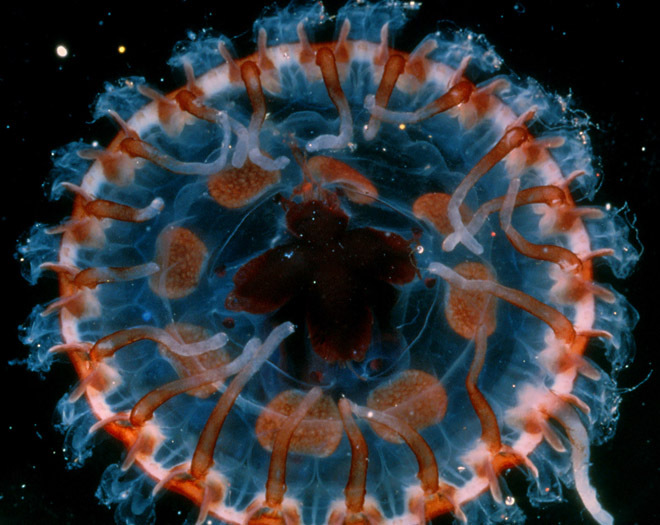 If the new predator takes an interest in the jelly’s attacker, it might be able to escape. Image: Steve Haddock/Monterey Bay Aquarium Research Institute.